A Christmas Gift For You From Philles Records. Silent Night was written in 1818 by Franz Xaver Gruber and Joseph Mohr. English lyrics were written in 1859 by John Freeman Young. The song has been recorded by Percy Faith, Chet Atkins, and Booker T. & The M.G.’s among others. The song was recorded in 1963 for the album A Christmas Gift For You From Philles Records (later released A Christmas Gift For You From Phil Spector). It was released as the last track on the album. The song plays while record producer Phil Spector delivers a Christmas message to fans. 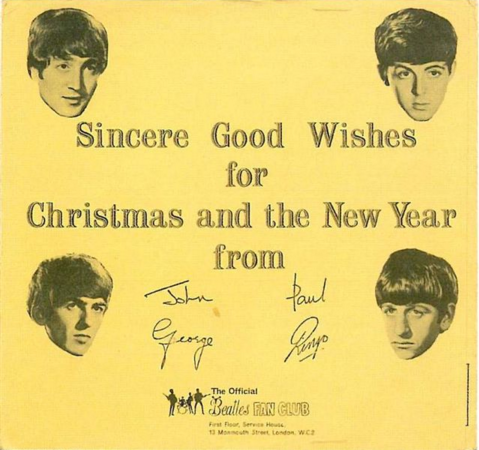 The Beatles recorded their own annual Christmas message for fans between 1963 and 1969. The Beatles sang a parody version of Silent Night as Bonfire Night during the recording sessions for The Beatles Third Christmas Record in 1965.